Some emperors, such as Alexander Severus (222 A.D. — 235 A.D.) and Philip the Arab (244 A.D. - 249 A.D.), were sympathetic to Christianity. Others, such as Maximinus Thrax (235 A.D. - 238 A.D.) and Decius (249 A.D. - 251 A.D.), were actively hostile. Decius required all Romans to hold documents certifying that they had sacrificed to the gods. The general disorder and economic decline in the Empire during the late third century was frequently blamed on the Christians, who had angered the gods. Diocletian (284 A.D. - 305 A.D.) instituted far-reaching reforms to restore Roman greatness. These included the administrative splitting of the Empire into two halves. Pagans, including the oracle of Apollo at Miletus, insisted that the Christians were causing false omens. 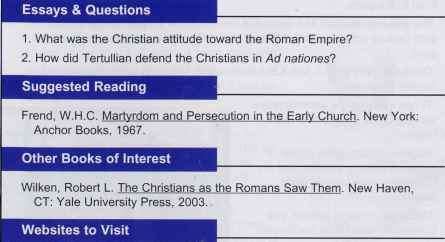 Diocletian came to believe that Christianity was killing the Empire. In 304, he decreed that all must sacrifice to the gods or be put to death. Horrible persecutions, particularly vehement in the East, lasted almost a decade. What constituted apostasy, and could such a sin be forgiven? What of apostate bishops and priests? The Donatists, who became particularly active in North Africa, insisted on the strictest interpretation. Tertullian famously wrote that "the blood of the martyrs is the seed of the Church." This was so. 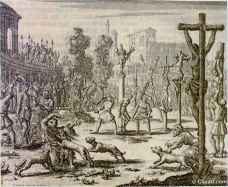 Intermittent executions provided dramatic evidence of the courage and faith of the Christians. This strengthened the Christian communities and led others to seek them out, while never seriously threatening their survival. 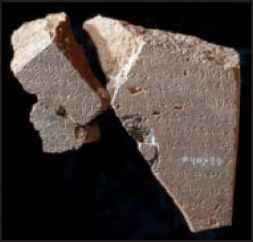 Christians revered their martyrs as heroes, carefully recording their stories and preserving their relics.